We regret to inform you that, yes, Jeffree Star is at it again. 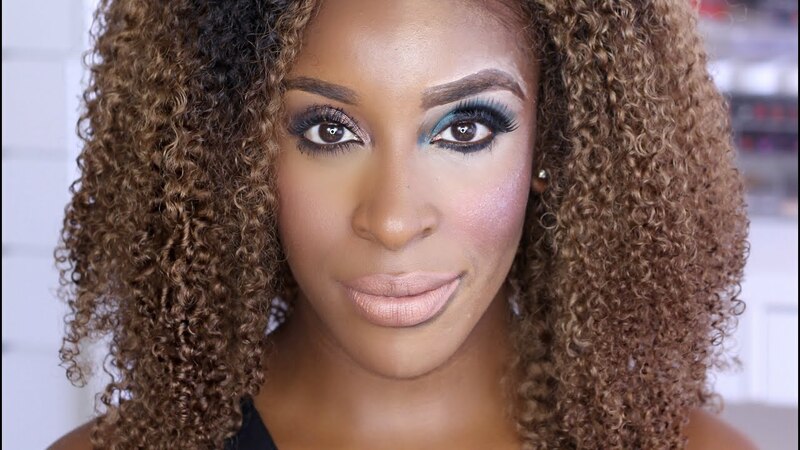 There was war in Beauty Blogger Land this weekend as YouTubers Jeffree Star and Jackie Aina got into it on Twitter, after it emerged that Jeffree had blocked Jackie on Instagram. Jackie has been vocal about her views on Jeffree Star in the past. In April, she called out Jeffree in an anti-haul blog and revealed that she doesn't use Jeffree Star products. Explaining why, Jackie said, "This started about a year and a half ago when I had snapped about seeing some Jeffrey star cosmetics. I got tonnes of feedback from you guys... basically saying, 'read into some of Jeffree's past'." "I'm not trying to make this open season on anybody," she continued. "I just have a deep issue with the anti-black comments and things that have been made publicly [by Jeffree], and in addition to that have not been addressed." Clarification: Jeffree has apologised for some of his offensive past behaviour. During the trip, Jackie shared a subtweet that echoed the comments she'd made about Jeffree in the anti-haul video, leading people to believe it was aimed at him. Things reached a head when he described Jackie as an 'irrelevant rat'. Jeffree then accused Jackie of not paying her taxes for three months, and claimed that she was getting married in December - which she has since denied. the best "apology" is changed behavior. What's the beauty drama about now? People dragging up @JeffreeStar stuff? Why? Past is that, ppl change over a 10yr space. He's apologised!